Take this Cricket Games Quiz to stay ahead of your sport-loving friends and test your Cricket lingo IQ.The language of cricket is one of the most entertaining and amusing in the sports world. Definitely worth testing the level of game knowledge for you and your mates. So, Step Up to the Oval! 1) What does the term Beamer mean in cricket games? A. Lingo for a very dangerous ball that does not bounce after leaving the bowler’s hand and reaches the batsman above the waist. B. Term for a ball that is hit directly over the boundary without bouncing on the field. C. Lingo for the umpire who carries a flashlight. 2) What does Carry the Bat refer to in Cricket? A. Term for when the batsman does not drop the bat before running between the wickets. B. Phrase that refers to an opening batsman who does not remain until the end of the game. C. Lingo for the 12th player who holds all the bats. 3) What is the definition of the term Dolly in the game of Cricket? A. Term refers to a very easy catch for a fielder. B. Slang term used to refer to female Cricket players. 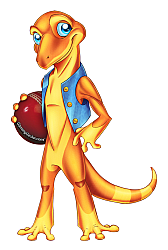 C. Refers to the clone of the official Cricket mascot. 4) When playing the game of Cricket, what is a Drifter/Floater? A. Term for a substitute fielder who can take any position on the field. B. Term for a slowly bowled ball that seems to drift across the pitch. C. Jargon for a bowled delivery curving away from a right-hander and does not turn. 5) What does the term Featherbed mean in reference to Cricket Games? A. Expression used when the grass of the outfield needs to be cut. B. Term for a very good wicket to bat on, offering little help to the bowlers. C. Term used for what the batter does for the team when he carries the bat. 6) What is the definition of Hit the Deck in Cricket? A. Lingo for movement that results in an additional bounce from the pitch. B. Phrase for when the bowler and wicketkeeper put on their protective gear and take their places on the field. C. Term used to signify the end of the first inning. 7) When playing Cricket Games, what is a Nurdle? A. Term for really serious Cricket fans. B. Lingo for the movement of jumping over the ball. C. Term for the movement of the ball around and into gaps. 8) What does Pudding refer to in Cricket? A. Refers to a ball pitch that proves to be complicated to score quickly. B. Term used for a sloppy bowl. C. Refers to a hit that leads to an easy dismissal. 9) What is the definition of a Wrist Spin? A. Term for a ball delivered by a flick of the wrist as opposed to a tweak of the fingers. B. Lingo for a batsman who can use either hand to bat. C. Term for a bowler who can bowl backward. 10) What does the term Zooter mean in Cricket? A. Term for the vehicle the team takes to the field. B. Lingo for a fielder who catches the ball before it bounces. C. Lingo for a ball with a very low bounce, said to be almost running along the ground. 1) A. Beamer: lingo for a very dangerous ball that does not bounce after leaving the bowler’s hand and reaches the batsman above the waist. 2) B. Carry the Bat: phrase that refers to an opening batsman who does not remain until the end of the game. 3) A. Dolly: term refers to a very easy catch for a fielder. 4) C. Drifter/Floater: jargon for a bowled delivery curving away from a right-hander and does not turn. 5) B. Featherbed: term for a very good wicket to bat on, offering little help to the bowlers. 6) A. Hit the Deck: lingo for movement that results in an additional bounce from the pitch. 7) C. Nurdle: term for the movement of the ball around and into gaps. 8) A. Pudding: refers to a ball pitch that proves to be complicated to score quickly. 9) A. Wrist Spin: term for a ball delivered by a flick of the wrist as opposed to a tweak of the fingers. 10) C. Zooter: lingo for a ball with a very low bounce, said to be almost running along the ground. After Cricket Games Quiz, check out the Fantasy Sports guide at gamerisms. is a 2-part glossary and Trivia-Facts Report.